Beach essentials, market finds, vacation souvenirs-this artisanal tote holds them all. 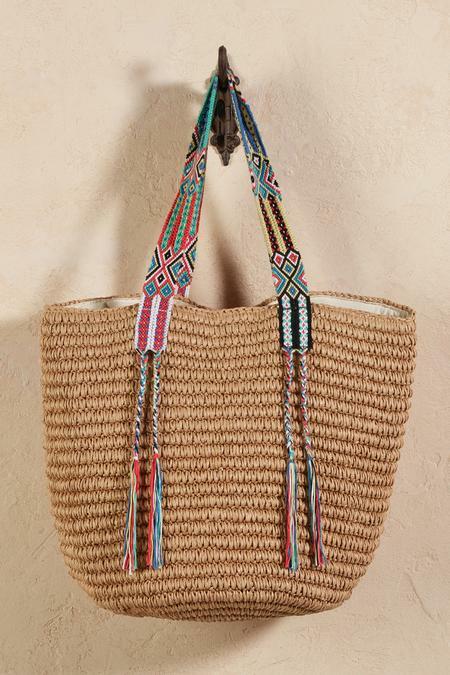 Natural straw contrasts with colorful, intricately crocheted double handles that flow to braided tassels. An easy traveler, each one-of-a-kind carryall flattens to take up minimal packing space-then resumes its generous proportions with an open top, canvas lining and slip pocket.